While searching for something appropriate for the last post of 2007 I stumbled upon this little gem. The Heartbeats were undoubtedly one of the finest outfits in doo-wop. Lead by James ´Shep´ Sheppard this New York group enjoyed a string of hits in the late fifties, of which A Thousand Miles Away is probably the most famous. In the next decennium Shep formed a new combo called Shep & The Limelights, and scored quite a big hit with the lovely Daddy´s Home, a somewhat belated sequel to Thousand Miles Away. You can find all their hits and more on The Best Of The Heartbeats Including Shep And The Limelights (Rhino Records). Shep met his tragic end when he was murdered in a robbery in January 1970, aged only 34. But back in December ´57 he had a ball. 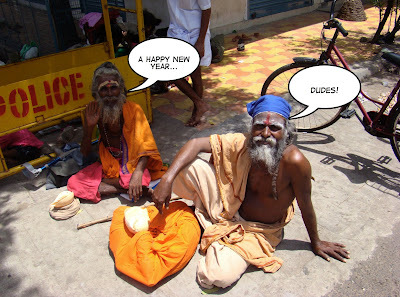 On new year´s eve. I thought it would be a good idea to put the X-mas festivities to bed (burp) by putting up Sangre De Christo by the Scud Mountain Boys. It´s from their second album Dance The Night Away, a forgotten classic more or less recorded around their kitchen table in Northampton, Massachussetts. Their leader Joe Pernice broke up the band one album later to form the Pernice Brothers, who currently enjoy quite a bit of success. 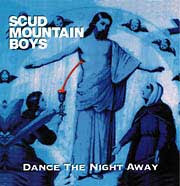 I still miss that specific dreamy Scud Mountain Boys sound though. 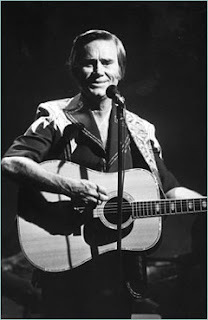 Over at the great music blog Setting The Woods On Fire, Paul recently mused about the perfect country song. According to him, four key elements had to be in place: clever wordplay, a storyline based on regret, a stalwart but flawed protagonist and a pedal steel guitar. With added bonus points for mentioning alcohol and reverence for the land (especially the south). His ultimate winner was He Stopped Loving Her Today by George Jones, and I sure could live with that. But it got me to thinking. What was my perfect pick? Tough one. A lot of the usual suspects (ole Hank, Cash, Merle Haggard, Waylon) passed the test with ease, but guess what? I also came up with a George Jones song. It´s official: If Drinkin´ Don´t Kill Me (Her Memory Will) is my personal exemplary country song. All necessary ingredients are firmly in place, and on top of that it´s got a line that still cracks me up no matter how many times I hear it: ´with the blood from my body, I could start my own still´. Cheers Mr. Possum! Long may you drive your lawnmower over to the liquor store. I´m not particularly fond of dogs, give me cats anytime. Felines usually don´t smell or bark, right? An added advantage is that you don´t have to walk them, which is especially welcome when it rains. Dogs in songs are something else though. Love them I do. Bird Dog (Everly´s), Hound Dog (Big Mama Thornton & Elvis), Walking The Dog (Rufus Thomas), I Wanna Be Your Dog (Stooges), Hey Bulldog (Beatles), Two Headed Dog (Roky Erickson), the list is endless. 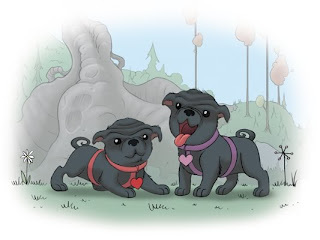 My two ultimate dog-songs are both about a black dog. First up is Jesse Winchester, with a track off his self-titled debut album. ´Black dog don´t believe in sin, think of where the black dog´s been...´ Spooky song, very intense. Next is the sadly still somewhat obscure Simon Joyner, with a song from Heaven´s Gate. ´His tongue is sipping muddy water...´ One very sorry dog. Woof! You´ll probably agree that it´s the time of year for some heavenly harmonies. So I dug out my copy of Are You From Dixie? - Great Country Brother Teams Of The 1930´s and indulged. 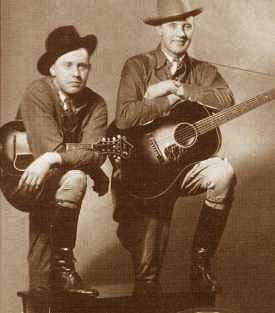 What a wonderful collection: you get a couple of songs each by the Allen Brothers, Lone Star Cowboys, Delmore Brothers, Dixon Brothers, Monroe Brothers (pictured above) and the Blue Sky Boys. Listening to all these great songs you get the impression that nothing beats two brothers singing harmony together. All these groups were inspirations for what I think is the greatest country brother team of all time, the mighty Louvin Brothers. More on them in a later post I guess. Are You From Dixie? has unfortunately been out of print for a long time, but every once in a while a copy surfaces on Ebay. Good hunting. To get you in the mood for your X-mas dinner, here are two songs about food by the incomparable wild man of rhythm & blues Andre Williams. Cramps-singer Lux Interior once remarked that ´Andre Williams makes Little Richard sound like Pat Boone´, so go figure. Also known as Mr. Rhythm, he recorded tons of great songs for the Fortune label in the fifties. 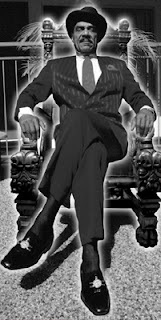 Williams later worked for Motown, produced songs for Stevie Wonder and Ike and Tina Turner amongs others, but his party persona slowly but surely got the best of him. He managed to pick himself up from skid row however and soon found himself championed by the Jon Spencer Blues Explosion and their cronies. Now at the respectable age of 72, he´s still gigging and recording. Have mercy! PS Just got back from Camp Nou. Not in the mood to review el clásico right now. We sucked, we lost, and that´s it. Big day: managed to secure my ticket for el clásico. For those not in the know: that´s the football match - yup, that´s soccer you yanks - between FC Barcelona and Real Madrid, arch rivals in the Spanish Primera Division since times immortal. And that´s something special. It´s the game of the season for most people here in the Catalan capital, as defeating Madrid is nearly as important as winning the league or the European cup. 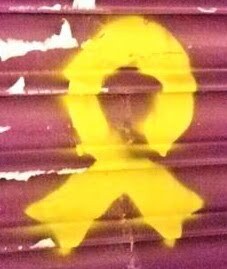 It´s an act of Catalan defiance that has a lot to do with the past, when the province of Catalunya didn´t have an easy time of it during Franco´s Madrid-based dictatorship. Tungg has been my favourite British band ever since their debut Mother´s Daughter And Other Songs came out and hit me like lightning. File under electro-folk, which basically means a combination of gorgeous melodies, crispy acoustic guitars and a refreshing layer of electronic beats and samples to keep things interesting. Follow-up Comments Of The Inner Chorus proved just as good. A couple of posts earlier I confessed I wasn´t really sure yet what I thought of their new album, Good Arrows. Well, I gave it some more spins and came to the conclusion that it´s actually quite good. I still don´t rate it as high as their predecessors though, probably because there´s a little less electronic weirdness to be found here. Interested? Be sure to buy the limited edition of Good Arrows if you can still find it, as it´s got two bonus tracks. Most spoofs, musical or otherwise, are not that funny at all. This one is great though. Chris Sandford used to be a famous actor in the tv series Coronation Street in the early sixties, and went on to become a dj for Radio Caroline. He recorded this delightful Dylan parody in 1965. It´s available on English Freakbeat Vol. 5. 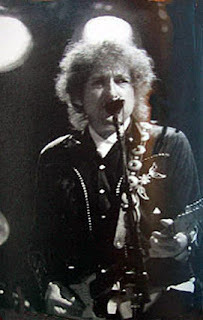 And speaking of Dylan, here´s the real thing, a breathtaking cover of the traditional Golden Vanity recorded live in Waikiki - of all places - on 24 April´92. 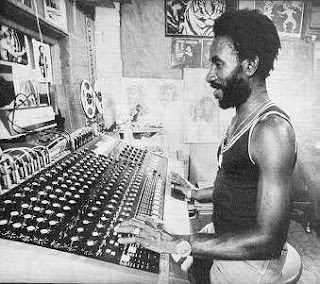 Some years before his international breakthrough, Bob Marley recorded a strings of songs under the tutelage of Lee ´Scratch´ Perry, who himself went on to become the undisputed production wizard of roots reggae. Tracks like Small Axe, Soul Rebel and Duppy Conqueror all stem from this period, and are collected on The Complete Upsetter Collection box on Trojan. My personal favourite from these sessions must be the spooky Mr. Brown. The lyrics (by Glen Adams btw, not Marley) are based on a rumour that was doing the rounds in Jamaica at the time: a ghost - a so-called duppy - was seen riding around in a three-wheeled coffin, looking for a certain mister Brown. Stuff of legend indeed. 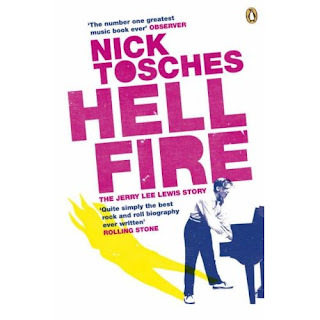 I recently learned that Hellfire, Nick Tosches´ amazing biography of Jerry Lee Lewis, has been reissued. And as my first edition copy is more or less worn out (yes, it´s that good), I guess I´ll have to buy it again. And if you haven´t read it, I strongly suggest you pick one up too. Nick Tosches has long been one of my favorite writers (his Cut Numbers, Trinities and Night Train are also warmly recommended). He´s got a style that´s distinctly his own, and has a whole lot of attitude to boot. Hellfire is the man´s main claim to fame though. It´s a biography that reads like a rollercoaster of a novel. It also helps that his subjects life is - to put it mildly - rather unusual. Fire and brimstone anyone? I guess everybody is familiar with the early rock ´n´roll classics Jerry Lee recorded for Sun, but his forays into country territory are not that well known. The Killer is a natural country singer though. Check out the CD Another Time Another Place / She Even Woke Me Up To Say Goodbye (Raven Records) to see what I mean. ...you best believe I´m in love L.U.V.´ What a way to start off a song. I played an old girl groups compilation today and was surprised just how fresh all these old hits still sound. 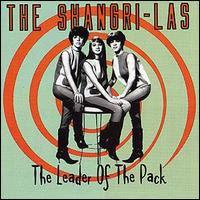 The Shangri-Las ones especially. Give Him A Great Big Kiss is probably my fave, owing both to the classic spoken intro and to ´he´s good bad, but he´s not evil´, surely one of the best lines in song ever. But with competition from Leader Of The Pack (with another wonderful spoken intro btw), Remember (Walking In The Sand), Out In The Streets and I Can Never Go Home Anymore choosing sure was tough. As you probably know already, the L.U.V. intro was also used with great success a couple of years later by the New York Dolls as the start of Looking For A Kiss. Johansen and Thunders knew their classics very well. 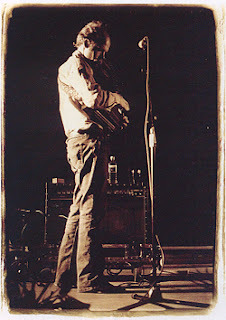 Townes could be very funny, he could be heartbreakingly sad. He rambled, he drank and he always played his heart out. If you ever wondered if his life was really as tragic as you hear sometimes, here´s some good news. 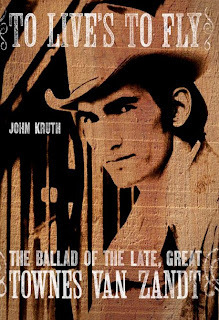 Finally there´s a biography of the man out: To Live´s To Fly by John Kruth. I intend to buy it as soon as the paperback version becomes available. To keep you busy in the meantime here are two songs (both sad ones btw) by the maestro. Tecumseh Valley is off his second album My Mother The Mountain and it´s a song that literally gets me anytime. For The Sake Of The Song comes from from a great bootleg that was recorded on 9 November ´73 at the Whole Coffeehouse in Minneapolis. I guess my first post for this blog should be about my faves of the year right? Well, that´s not a very long list I´m afraid. I only liked a handful of albums that came out this year. Bonnie Prince Billy´s new covers collection Ask Forgiveness is as good as it gets. Not funny-as-hell as in last years Tortoise collaboration; this is beautiful sparse acoustic stuff. I guess the Mekons cover The Way I Am is a good example. Yellow House by Grizzly Bear is an album that grows on you. A bit anarchic on first listens, but the more you play it the more you discover the songs underneath. Blitzen Trapper surprised me with their Field Rexx album last year, and the new Wild Mountain Nation is just as good. Eclectic? You bet. Lo-fi? Sure. And very very refreshing. Be sure to check out this outtake from the album. 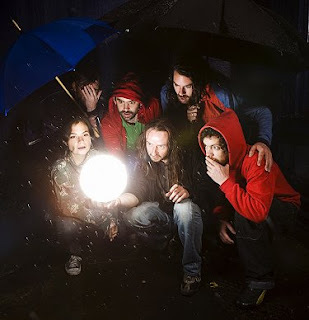 Bubbling under is Tunng, as I haven´t listened to their 3rd record that much yet, but on first spins it didn´t grab me as much as their earlier outings. More on them in a later post I guess. Most promising band must be Vampire Weekend: hardly a day went by that I didn´t give their their debut ep a spin. A full length is expected for early ´08, so we´ll get back to them shortly.